A trip to Alice Springs is about the senses. It’s about a sense of humour. Where else in the world would you see a regatta held every year on a dry river bed. There’s no water so the boats in the Henley-on-Todd Regatta rely on leg power more than anything else. It’s about a sense of purpose. Any trip to the wonderful folk at Purple House will fill you with a sense of gratitude at the selfless work being done by this Indigenous-owned and run health service that provides remote dialysis and community-led healthcare. Paul and Debra Hoyt/Tourism NT. It’s about a sense of place. It’s only when you leave the heavily populated coastal areas do you realise just how vast Australia is, with Alice Springs at its centre. A trip to the Alice Springs Telegraph Station is a must. 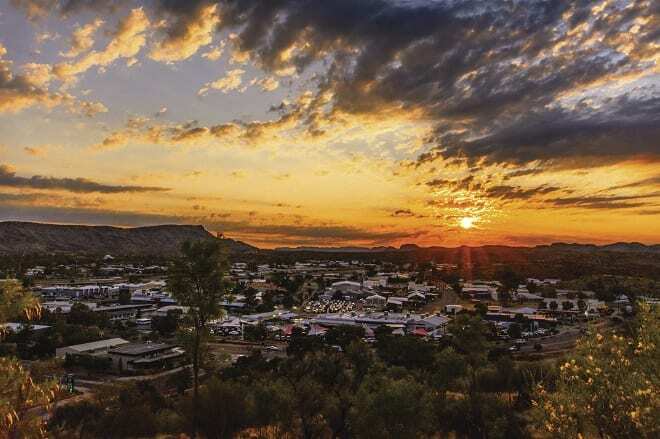 The town was named after Alice Todd, wife to the former South Australian Superintendent of Telegraphs, and is a reminder of how significant this town was in bringing the nation together with the power of communication. It’s about a sense of wonder. There is simply no where else like it. Whether you are taking in the majesty of the nearby MacDonnell Ranges from the ground or from the basket of a hot air balloon, making damper in an old quarry or simply looking up at the night sky, there is no clearer sense of the timeless nature of this most ancient of landscapes. One festival that celebrates all those senses is Parrtjima, a festival of light. Held across two event precincts over 10 nights in April, the free event includes incredible artwork and light installations alongside a public program of interactive workshops, music, films and talks. 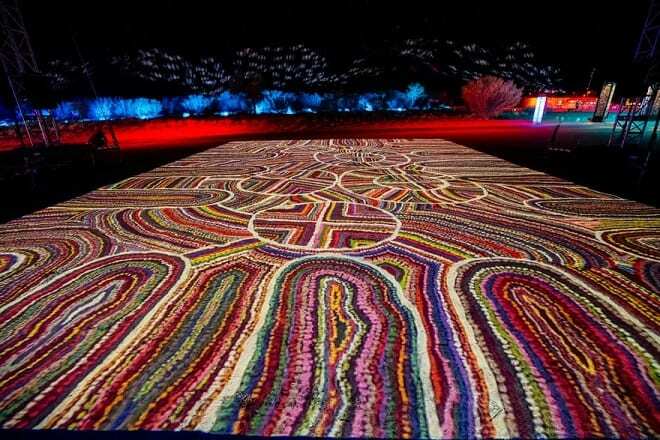 Curated by Indigenous art curator Rhoda Roberts, the festival features work from Arrernte art and artists as well as those across the Central Desert region and associated other parts of the Northern Territory. Rhonda says Parrtjima means shedding both light and understanding. “But it’s much more. It’s the generosity and spirit of a peoples who have and always will care for country and for the many travellers who visit this timeless land,” she says. 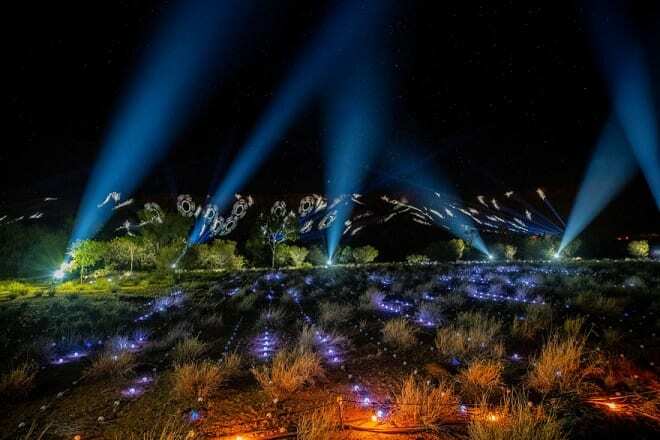 Bringing Rhonda’s vision to life is the Roberts works is Anthony Bastic, CEO of AGB Events, who uses his depth of knowledge working on Vivid Sydney to create the stunning light show set against the backdrop of the MacDonnell Ranges. Anthony says the team at AGB Events were thrilled to have the opportunity to work with Rhonda and the artists on an event of this scale. Parrtjima runs from 5-14 April. Find out how you can incorporate Parrtjima into your event here. CIM business events delivers the latest news from Australia and beyond to your inbox daily - to subscribe just send us an email with your details. © 2019 CIM Business Events.